This Sunday it has been five years since I left Stockholm. 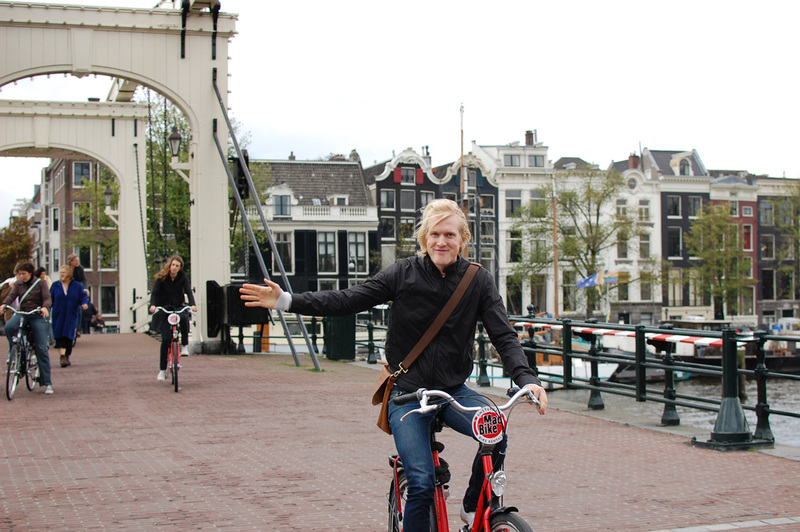 The first two years I spent in Amsterdam, and I will show a few photos from that time. Notice how the composition is more basic, with the subject often placed in the centre. Also most of the photos are much lower contrast since they are straight out of the camera. Back then I used an old Nikon D40 with a 35 mm DX lens on it. If you are looking for an all round lens, then I could really recommend it. That lens was a present from my brothers when I finished my PhD, and it is still mounted on that camera five years later. I was shooting in aperture priority which gave me control over the depth of field, and my camera was set to save the photos as jpeg. When I got home I would go through my photos and move the good photos to a separate folder on my laptop, and put the rest on an external hard drive. I found this was more efficient than to try and delete the bad photos. I did not photoshop my regular photos, and here I have chosen to show them as they were made. I brought out gimp a few times to make composite images, but that was the extent of it. How things have changed. Photo from my parents’ visit to Amsterdam in April 2010. They landed on the last flight before Schiphol closed due to the ash cloud from the eruption of Eyjafjallajökull. 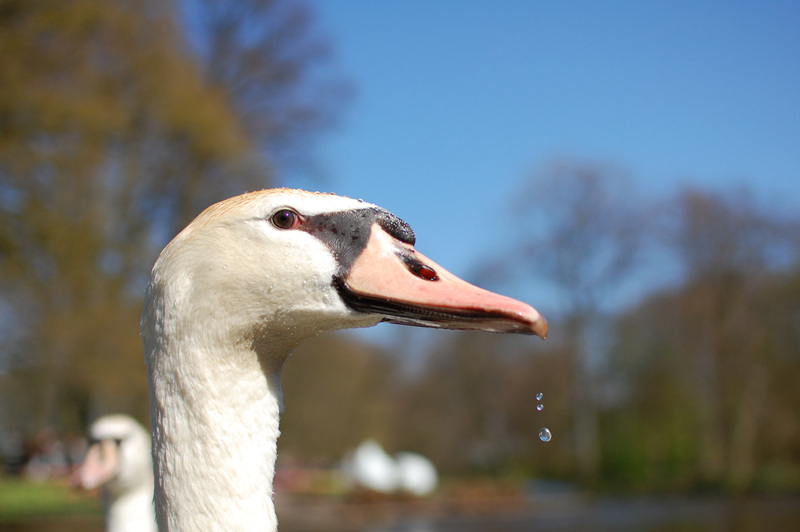 We were doing a trip to Keukenhof and I was waiting for my parents to buy something, and snapped a few photos of the swans. After taking a few normal shots I decided I wanted to get in closer and held my camera close to the water. Without any visual guidance it was difficult to get a good shot, so I snapped a few trying to aim roughly in the right direction and hoped for the best. The water droplets are a nice touch. My parents had to change their travel plans back to Stockholm. It took them 24 hours travelling by train, boat and bus. 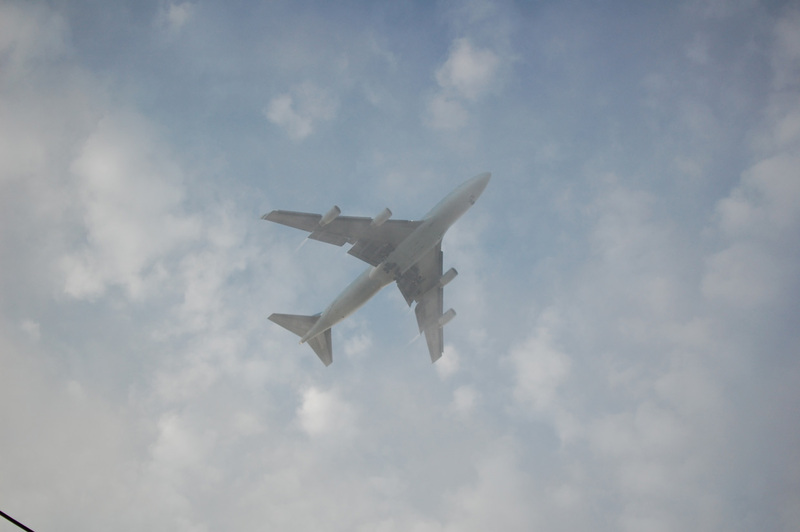 It makes you think how convenient it is for us with air flight. 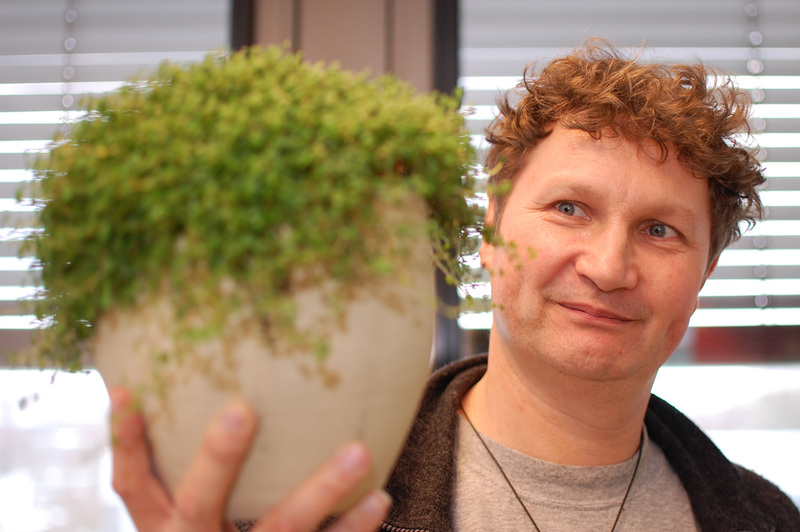 Arjen’s computational group. 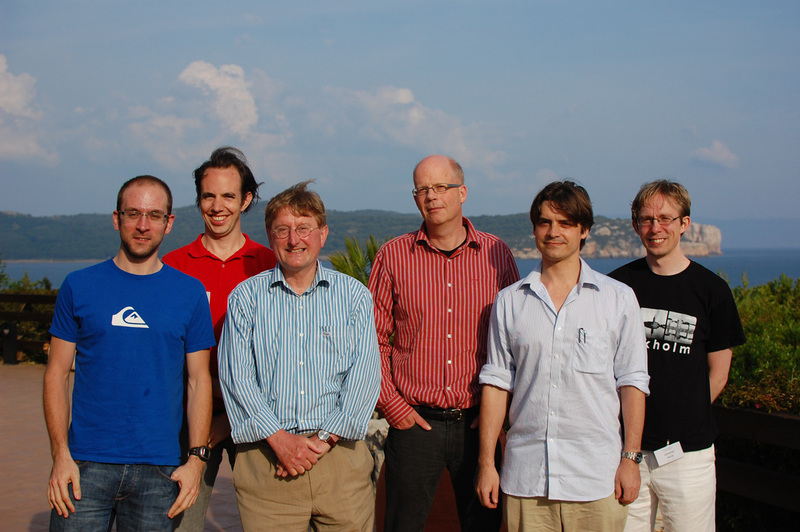 From left Andrew Carnell, Pieter Laurens Baljon, Jaap van Pelt, Arjen van Ooyen, Tjeerd olde Scheper and I. Lawrence Watling wasn’t with us at the Capo Caccia meeting. Besides photography I also enjoy video editing. There were a few golden years when I did several videos, but lately I have not done much of that. One of the highlights from 2010 was after the meeting in Sardinia was to met up with my brothers in Rome. Jonathan filmed it with his camera, and I then spent a few evenings putting this together. It is in Swedish, and I guess most fun for me and my brothers to watch, but here it is. There are more movies on my youtube channel, some from my PhD days and from a few stag parties we organised. There should also be a small photoshop tutorial there. 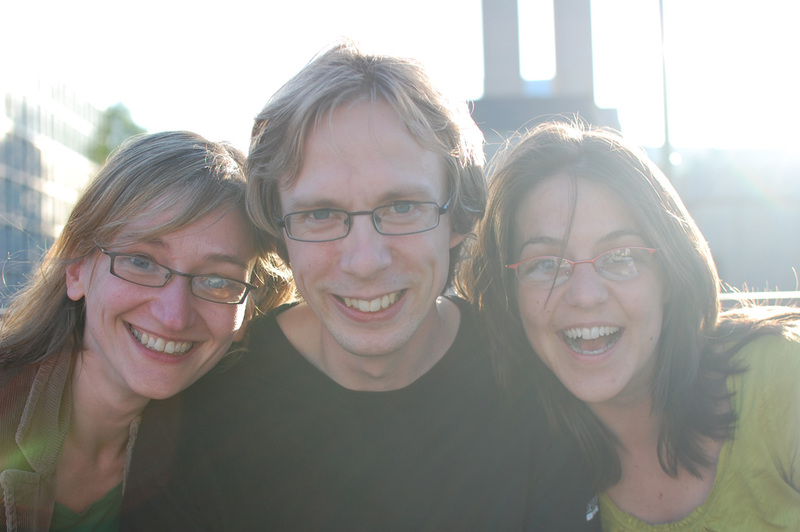 Diana Rotaru, me and Karine Guillem on the roof of the Basket outside VU University Amsterdam. Not sure who shot this photo, perhaps Margreet? Most of my photos were of other people. One photography “rule” I had learned then was to get in closer to get a better shot, but the opposite also holds true. Sometimes it is good to step back and get an overview shot also. Would have been fun to have a shot of the surroundings in my series of pictures from the Basket roof. 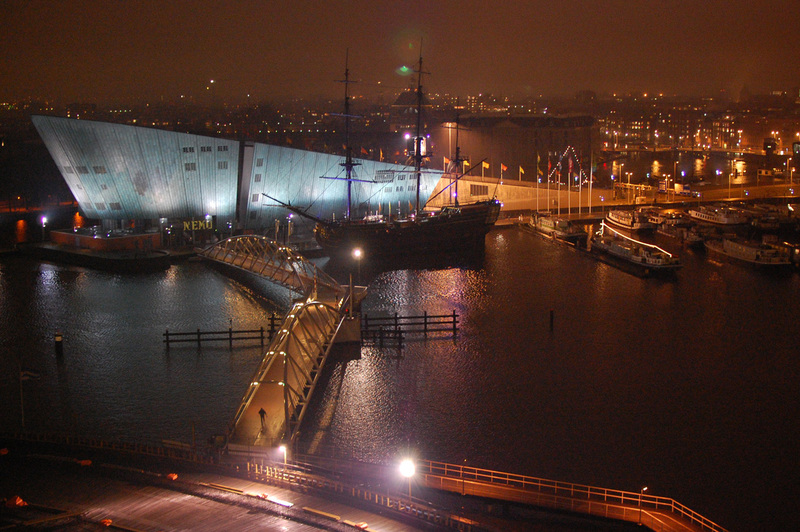 I was looking for a good photo showing how orange Amsterdam could be. On Queen’s Day everyone goes out on the streets clad in orange, and the canals fill up with boats. 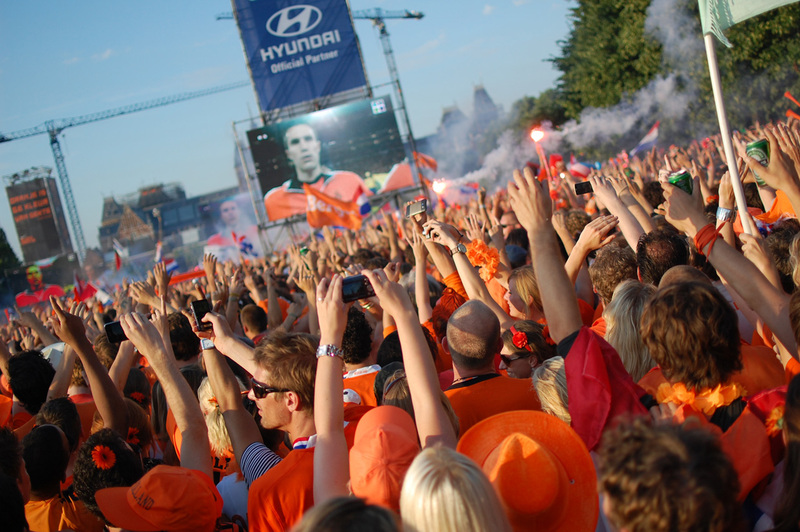 Here is another example, from the World Cup final in July 2010 where they had placed giant screens on Museumplein. They were dropping orange flowers on the crowd from helicopters above. 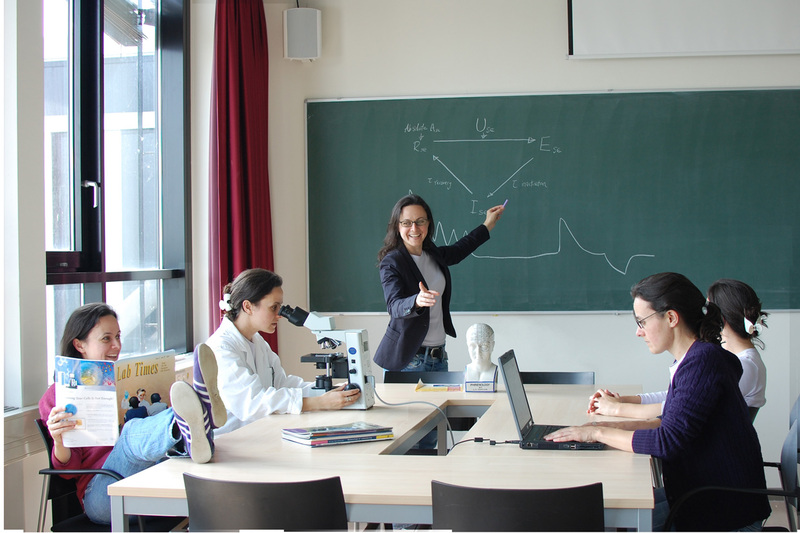 The idea behind this photo of Rhiannon Meredith was to show the different hats a PI has to wear in science. To make this shot I needed a tripod so borrowed one from Sander Groffen. The tripod head was missing, so we ended taping the camera to the tripod, it looked funny but did the job. Also I did not have photoshop, so this was done using gimp and lots of layer masks. In the end this photo did not appear in Lab Times, but it was fun to make. My brother Josef and Sophie visiting Amsterdam. I was looking for a photo that showed a bit of the city, but noticed that most of my pictures from that time were close ups of people with blurry backgrounds. Let’s spend a minute commenting on the composition of this photo. If I had photographed it now then I would have tried to get all of the bike in the shot, either by stepping back, or if that was not an option lower the camera a bit. It could have been nice to get the rest of the bridge in the shot, to give a bit more sense of the place. A bit more depth of field so that Sophie was also in focus would have been nice. I do like the fact that Josef’s hand points to her. Just writing about this photo I get a mental picture of how I would have composed the same shot now. There were a few times that I went out for a walk with my camera specifically to take photos. This was taken during one of those walks. I went up to a roof terrace to shoot this photo. This photo was another illustration, the idea was to show the gamble it was to take on a new student. This one was fun because it involved several of my co-workers. 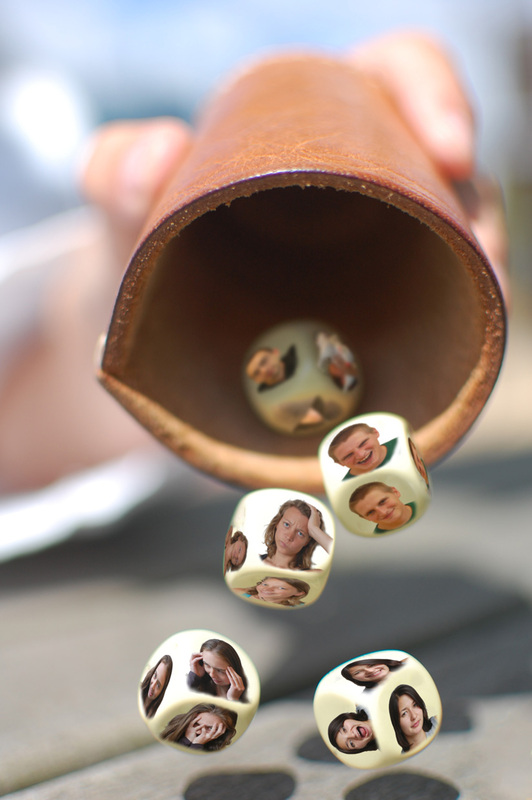 There were happy, sad and crazy photos on the dice. The last die had an inflatable sheep on one side, you have to ask the Welshman in our old group about that. Back then my concept of lighting was: let’s just stand next to this big window, natural light looks good. No real thought to which direction they were facing, I did not start to think about that until later on. There were a lot of perspective transformations to get the photos on the dice, but what I missed was to add motion blur or smudge the edges a bit, or I should have made sure the dices were in focus by either using a smaller aperture or changing the focus plane. On the dice: Martine Groen, Asiya Ginia, Ida Nissen, Bernard Bloem and Richard Hardstone. This is not a photo from Amsterdam. It was shot when I was back for a visit to Sweden four years ago. I guess my excuse for showing it is that it provides a contrast between home and abroad. 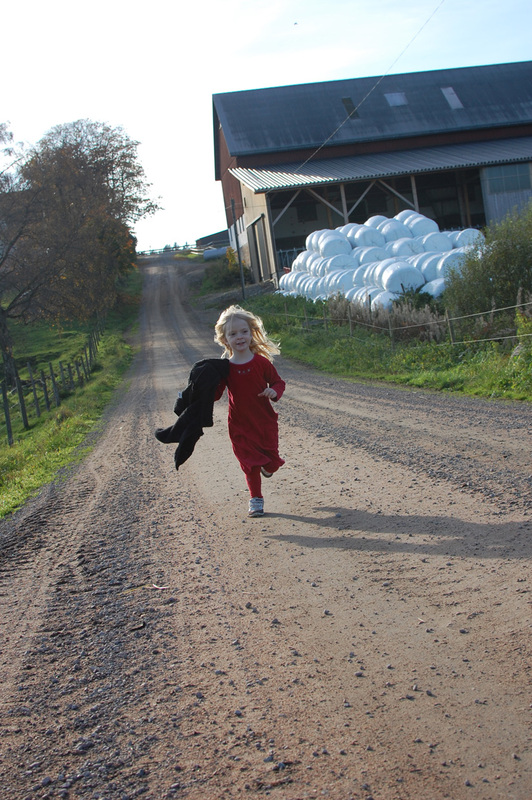 I like how the sun lights up her hair, and how the road leads you into the photo. My brother and his family used to live at the end of that road. I bought my flash a few days before the Christmas party, and put it to good use at the party. I thought the light had a very professional look to it (not sure I would call it that anymore though), and I liked that the light faded away in the distance (the party was in a corridor). 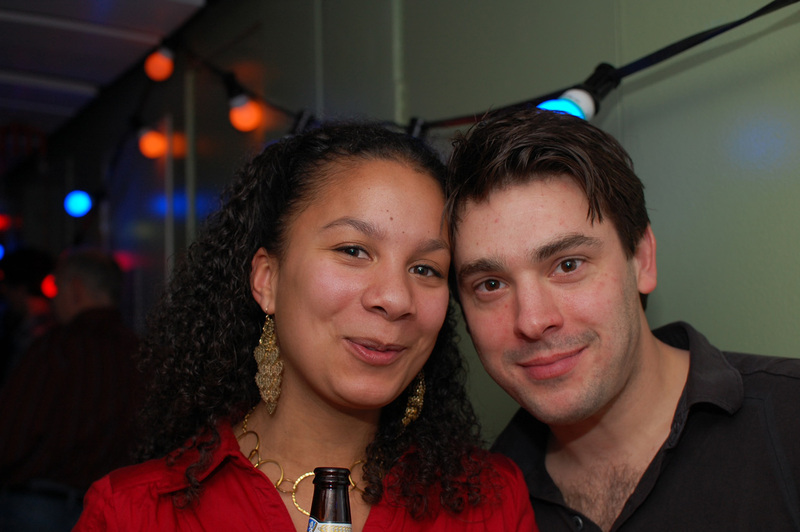 Here Margreet Ridder and Lawrence Watling who are now living in Australia. We used to have some glorious table tennis games during our breaks at the VU. As I was going through the photos I was looking for one that would do these epic games justice, but I could not find any. The best one was of a tournament trophy but that one did not show much action. The first year in Amsterdam I lived in a small student flat in Anstelveen, technically a different city but its borders grew together with Amsterdam. Uilenstede was located half an hour’s walk south of the VU, and my building was located right under one of the flight paths approaching Schiphol. I was tempted to remove the cable in the lower left corner of this photo, but decided to leave it as I had taken it back then. If I would do it now then I would try and have some buildings or trees just to give you an idea of how low it was really flying. This photo still looks like it was quite high up. The first year I was going home for Christmas there was a light snow powder, and the metro was not going so I had to get a cab to the airport. 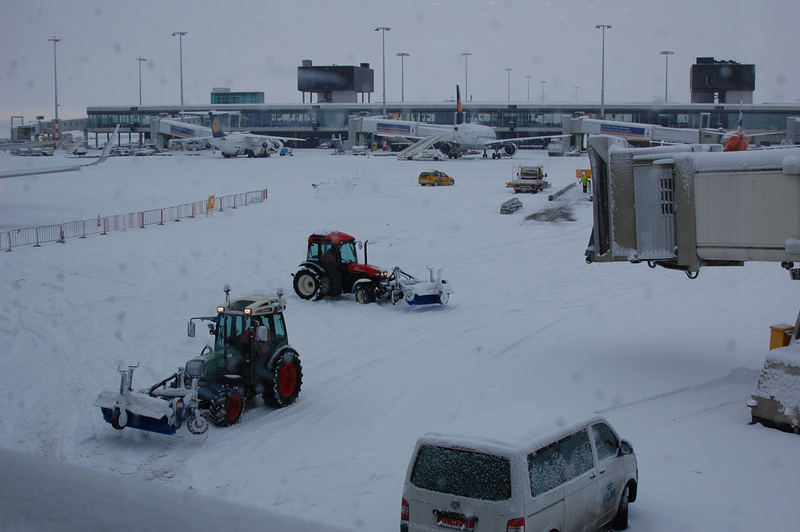 There were huge delays because they only had ploughs to keep one runway open. Luckily no Swedish flights were cancelled. The second year I was going home I guess they had upgraded to two ploughs (photo), but King Bore (Jack Frost) had also upgraded his snow clouds, cancelling all flights. There were huge queues with people trying to rebook their tickets, I managed to get through on the phone to a ticket office in Stockholm and rebooked mine to a few days later. Looking at it now everything is a washed out grey, if I had post processed it the snow would be a much brighter white. One of the fun things about Amsterdam was that our computational group was embedded in an experimental lab. 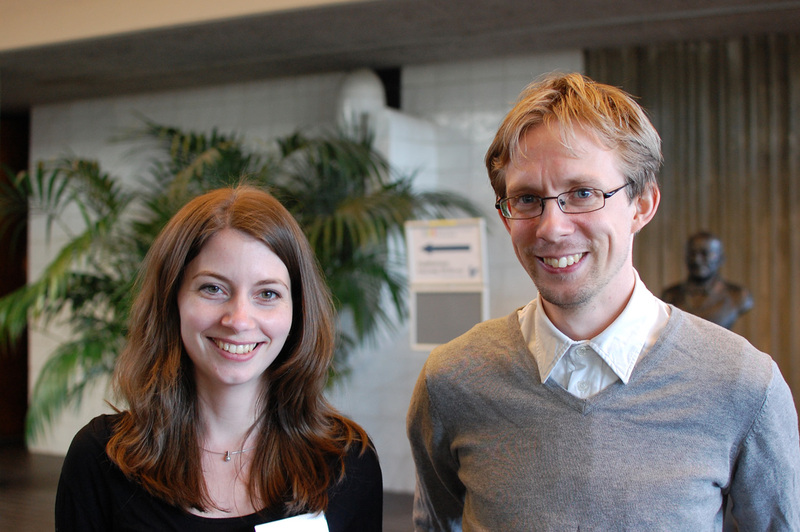 So I would walk around talking to the other people, asking what they were doing, which is how I ended up doing a pet project analysing immunofluorescent images with Sabine Schmitz (now Mosch). After a couple of months of intense work, mostly evenings, SynD saw the light of day and got widely adopted in one of the groups at the CNCR. A group photo of the 2010 INF outing. 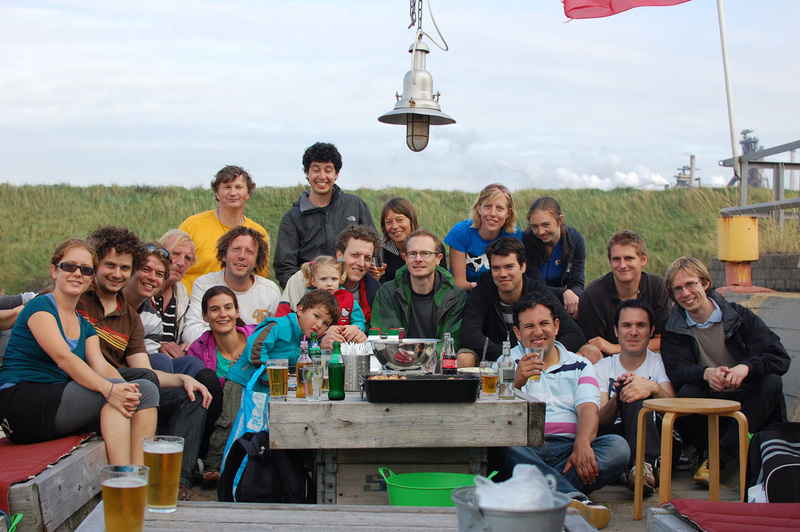 We are missing some people from the lab, but this is the best group picture I have. One of the fun things we did was blow-karting, where you have a little three-wheel car and use a big sail to propel yourself. If you have a chance to do it, then give it a try. I notice that I don’t have any typical Amsterdam photos showing the city itself. This is something I am trying to get better at, for example you can find some photos in my blog post about a Morning in Cambridge. I guess I will stop here, there are many photos that I treasure from my time in Amsterdam, mostly for what they show and less for their photographic qualities. I found a really blurry and badly composed photo of us playing table tennis on an external backup drive, which made me smile! I had a lot of fun and met many wonderful people in Amsterdam.